Newcastle United will have to face Arsenal with just 13 fit outfield players at St James’ Park on Saturday. John Carver confirmed the news in his pre-game press conference where he also admitted he would be reluctant to use youth players to fill empty places in the squad. 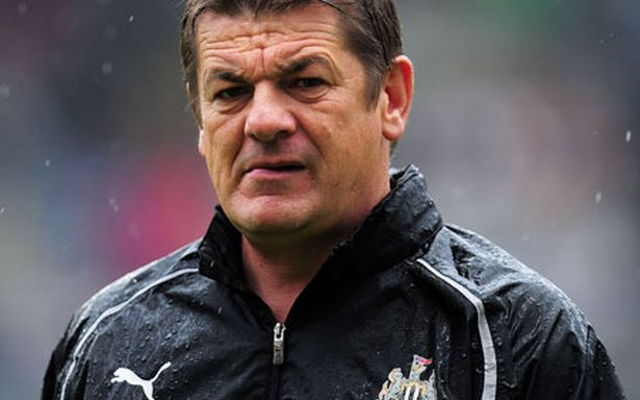 Carver didn’t fully reveal which members of the Newcastle first-team were missing but they will join a number of players already confirmed as out. Fabio Coloccini is suspended for the game whilst Papiss Cisse, Stephen Taylor, Cheick Tiote, Paul Dummett, Massadio Haidara, Mehdi Abeid, Rolando Aarons, Siem De Jong are all expected to be missing through injury. Arsenal meanwhile have no fresh injury concerns following their midweek Champions League game against Monaco. Tomas Rosicky is likely to return to the squad after sitting out a number of recent games through illness. Arsenal will be looking to continue their great run of results in the Premier League having won each of their last five games..
Newcastle will want to bounce back after a 3-0 drubbing at the hands of Everton last week having won just two Premier League games since the turn of the year.